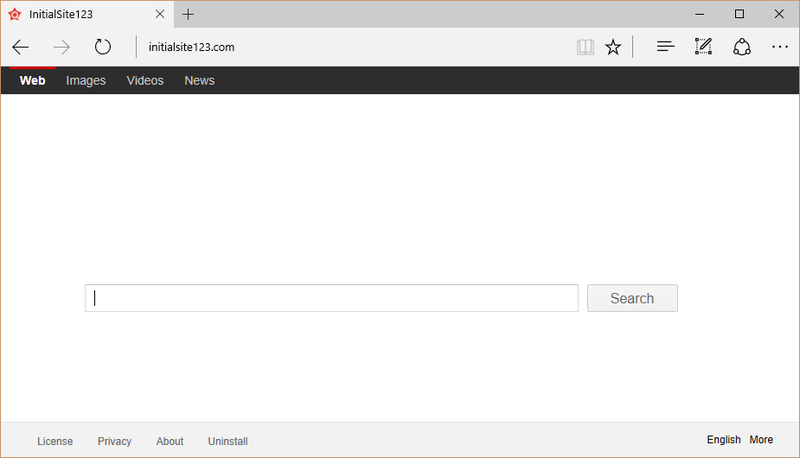 InitialSite123.com does not differ much from other members of the browser hijacker category. It alters browser settings without the user’s notice and causes other modifications, all of which are aimed at promoting its sponsors. By doing so, the hijacker’s developers earn money. That is the only goal that the app has, despite the fact that it is advertised as a valuable search tool. We assure you, there is no reason to keep the hijacker installed, and advise that you get rid of InitialSite123.com as soon as you can. The main distribution method that the hijacker uses is free software bundles. It is a common way for potentially unwanted programs to spread online as it allows them to enter systems unnoticed by the user. That is why each time that you download and install free software from third party sites, you should pay careful attention to its setup. It is possible to deselect the unnecessary components by choosing the Advanced installation mode and declining all offers of unfamiliar programs. Make sure you do that the next time you install software. InitialSite123.com becomes your home page and default search engine right after it gets access to your computer. The website itself looks similar to legitimate search portals. It contains a search box, search parameters, and not much else. If you see any ads on it, we urge you to avoid clicking on them. If you decide to search the Web using the page, you will get results with sponsored links. In addition to that, you will also encounter ads on domains that have nothing to do with the hijacker. There is no way to be certain of whether or not the adverts you see are reliable. Clicking on fake ads could lead you to unsafe domains and result in malware infections or other unwelcome consequences. If you want to protect your PC from that, you should not hesitate to delete InitialSite123.com from your browsers. You can terminate InitialSite123.com in one of two ways: manually or automatically. Manual InitialSite123.com removal is not complicated, however, you will have to identify and uninstall the application that accompanies the hijacker. You can use the free scanner from our site to do that. Afterwards, you will have to eliminate InitialSite123.com from your browsers by restoring their settings. More detailed instructions are presented below, in case you need them. Alternatively, you can erase InitialSite123.com automatically with the help of our anti-malware utility. It will scan your PC, detect all issues, and eliminate them without any trouble. The malware remover will also keep your system protected from other parasites you may encounter while browsing the Internet.